We are experts in creating new lawn areas using sod or seed or hydroseed. Are you in the process of building a new home or building in Ottawa area? Are you looking to grade your property and install a new lawn? Maybe you’ve just purchased a new-to-you home or property and the lawn is in poor shape and needs replacement? Whatever your reasons, you’ve just found the team that can make it happen. Alan’s Landscaping Heather’s Gardens is a family owned and operated landscape design and construction company based in Ottawa. We are experts in the art of installing new lawns and grassy areas of all sizes. Whether it’s a few hundred square feet or a few acres we’ll be able to provide all of the services required for your new greenspace. From removing old sod or debris, re-grading the property and hauling in or removing soil right to the final preparation and rolling out of your new sod lawn. We’ve got you covered. On larger areas, we can hydroseed as well. We’ve installed dozens and dozens of new lawns for new homes and property developments throughout Ottawa. 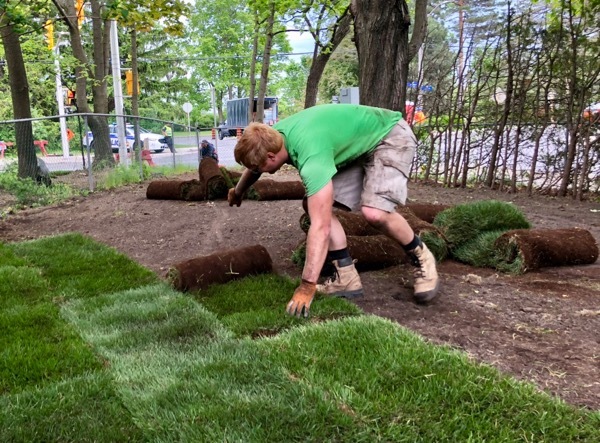 We are happy to get your new lawn installed by using ready-to-go sod that we can roll out or planting your new grass from seed the old fashioned way. We start with our initial consultation and accurate measurements of your property. We assess the existing soil and take note of any grading/drainage issues. We will bring in top soil and spread as needed to ensure uniformity. We can arrange for irrigation and underground sprinklers installation. We then lay your turf or plant your grass as promised. The end result is a beautiful, lush green lawn! For most average sized lawns this entire process can be completed in just 1-3 days. For much larger residential lawns or commercial properties the process can take longer but the end result is exactly the same. You’re going to end up with a beautiful, lush green lawn that will be ready to enjoy in just a few short weeks. 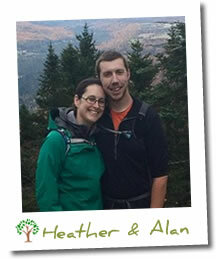 Why Choose Alan and Heather To Install Your New Lawn? When you choose ALHG for your new lawn installation you are partnering with a locally owned, family run landscaping business. With Alan specializing in Construction and Heather specializing in landscape design they are the perfect team to help you transform your property into the envy of your neighbourhood. The ALHG team is large enough to install lawns of all sizes but we’re still small enough to give your new lawn installation the specific care and attention it needs to make the big impact on your curb appeal that we’ve promised. We believe in providing great service and value along with complete customer satisfaction with every project we complete! We conduct ourselves like true professionals on your property at all times, leaving no trace behind but your beautiful looking new lawn! 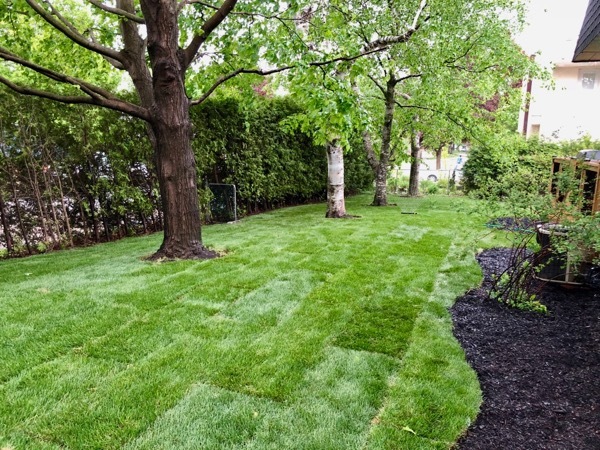 If you’d like an estimate for our lawn installation or replacement services please give us a call (343) 262-4769 or fill out our contact form and we’ll get right back to you.